VIDEO. Imagine one integrated operational process from approach to departure. To make this a reality, such a solution must integrate and intelligently support many different guidance and traffic control functions, including tower control systems, airfield lighting, docking control and gate management. 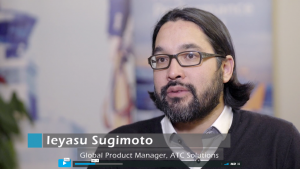 Watch our colleagues talk about how ADB SAFEGATE’s integrated airport solutions for gate, airfield and the tower can improve airport performance. 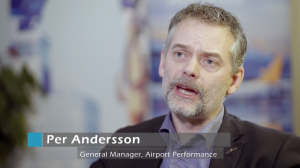 In five new videos, our colleagues share their perspectives on industry challenges and how the different areas in our airside wide portfolio – gate, airfield, the tower and services – can help airports and contribute to the overall objective – improved airport performance. Being in an industry that is expected to double within 15 years is fantastic but it is also a pressure. 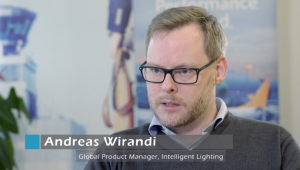 There are limitations, especially during bad weather and peak hours – and the airports that are best able to increase their capacity, efficiency and safety in a clever way – will be the winners! Congestion is of course also a problem to airlines around the world. During the peak hours, this is where the airlines make their money. The flights between 7 pm and 9 pm are really good for them and if you can squeeze in an extra flight during this time it is a win-win – for airlines, as well as for airports and the passengers. So, how can we help here? 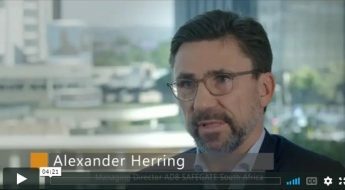 What is the role of ADB SAFEGATE? When the traditional solution to invest in new infrastructure is not always possible any longer, given economical and geographical restrictions where airports often are “built” into the cities, we can help optimize operations and maintain throughput also during bad weather by helping them use their infrastructure in a more efficient and intelligent way. During low visibility there are very strict regulations. You need to keep track of your aircraft, you need to know where they are and you cannot have them too close to each other unless you have systems in place that will compensate for the lack of visibility. Lights at an airport today are shifting towards more intelligence within the light fixtures themselves. With more intelligence in the airfield, we can help guide the aircraft to the gate by switching on only the light needed for that specific airplane. With Follow the Greens you can stack more aircraft together and have more movements on an airfield at the same time than traditionally. When air traffic increases heavily, situational awareness becomes a huge challenge for Air traffic controllers (ATCO), responsible for maintaining a safe and orderly flow of aircraft. So, technical support is very important, especially in bad weather situations. The technical tools are quite necessary for an airport to keep up the capacity that is required. A big change that is happening now is that with airport collaborative decision making (A-CDM), the different stakeholders involved in air traffic, are starting to open up and talk more to each other because they need to share data and listen to each other. Many airports are limited in space and the only way to increase throughput is by increasing efficiency – and that is where technology can help a lot. 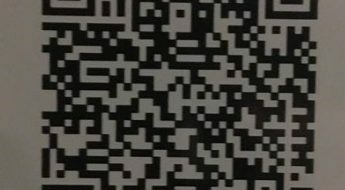 ADB SAFEGATE has a huge portfolio. We have tower systems, airfield systems and gate solutions. We have everything in control and therefore we can provide an integration of all those systems, which is much more sophisticated than what our competitors can do since they only own certain areas of those fields. For the airport it means that they only have to talk to one person who is responsible and can deliver the solution. Airport ground accidents cost the industry more than five billion dollars every year and 80% of the accidents occur at the busy gate and apron area. If an aircraft hits a passenger boarding bridge, it can cost a fortune. Not only in repair cost but also follow up costs if the aircraft is out of service for a certain time and if the passengers are delayed. Different stakeholders are involved in the turnaround process and not everyone has the same level of information. 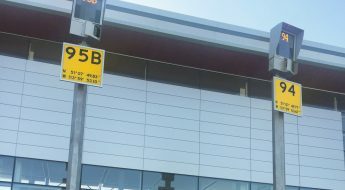 With A-VDGS display we can provide this information so that everyone can see it at the same time at the gate. All stakeholders are on the same page when it comes to being prepared for the next departing aircraft. Every airport has different ways of working – not only at the gate but also in the control room. 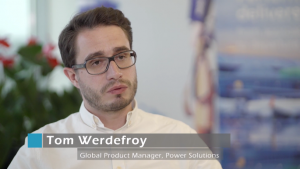 Exploring who is doing what takes a lot of research and that is what we are doing in order to find out how we can help our customers to solve their problems and optimize operations. To an airport with increasing traffic it is extremely important to have maximum availability of the runways and taxiways. With a healthy service organisation, we make sure the products stay in good health to achieve their maximum lifetime and can guarantee availability of runways and taxiways. Services are everywhere. Right from the beginning of a project start-up and then from site service to making the design and further to be supervising or performing the installation. Then we move on to commissioning the products and then we go to the after sales phase or to do the training and the maintenance. Services make things run smoother and it is all about facilitating the different phases of an airport project by using the right knowledge and experience. We are not selling products. We are selling something abstract. You cannot place service on a desk and show to your customer what it looks like, how it feels to touch it. If you manage to make your customer happy by performing a service you can still explain to anyone else how you managed to do that, what the process was and what the discussions were, what the pain points were and how you solved them. Telling that story is what builds confidence more than talking about unique selling points. Your airport can work seamlessly together as one. 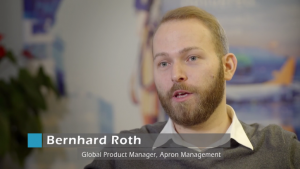 It´s possible with one integrated operational process from approach to departure. This would provide the necessary operational support for a seamless, optimized procedure that guides aircraft during approach and landing, taxiing to the gate, and back out again, across the airfield to the departure runway – tailored to maximize your airport’s throughput and safety. To make this a reality, such a solution must integrate and intelligently support or automate many different guidance and traffic control functions, including tower control systems airfield lighting, docking control and gate management. With aircraft time on the ground always at a minimum, airports can fully utilize capacity and safely handle more traffic with their existing facilities. Every airport is different. One solution will not fit all. Every solution must be tailored to each airport’s demands, environment and business objectives. What challenges does your airport have? What would the consequences be if these challenges are not resolved? And what are the benefits of finding solutions? We know that existing infrastructure often contains hidden and unused capacity that can be released with a holistic view of the airport. Our aim is always the same: To help you improve airport performance. 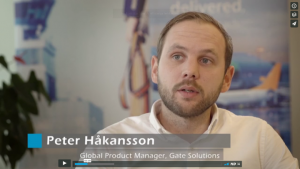 ADB SAFEGATE is a leading provider of intelligent solutions that deliver superior airport performance and operations, and jointly identify and solve bottlenecks. Our consultative approach enables airports to improve efficiency, enhance safety and environmental sustainability, as well as reduce operational costs. Our portfolio includes solutions and services that harmonize airport performance, tackling every aspect of traffic handling and guidance, from approach, runway and taxiway lighting, to tower-based traffic control systems and intelligent gate and docking automation. ADB SAFEGATE has 900+ employees in more than 20 countries and serves some 2,000+ airports in more than 175 countries. 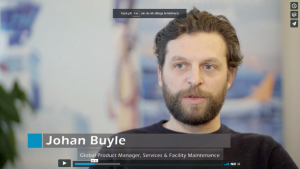 How to improve your turnaround process? Let’s discuss at PTX?